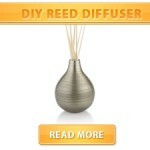 • Make sure your reeds or skewers stick out several inches from the top of the container for maximum scent. 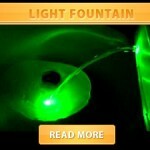 • Mix together alcohol, water, and essential oil in the container. 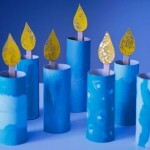 • Stick the reeds or bamboo skewers inside. 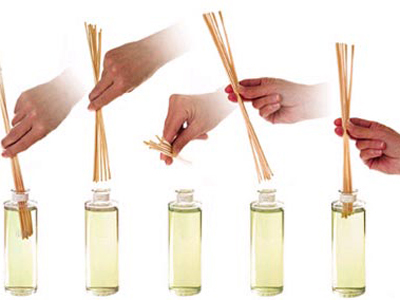 • Rotate the ends of the reeds or skewers once a week to refresh and prolong the fragrance. Tip: You can substitute alcohol and water with 120 ml vodka.